When he was a 13-year-old boy at Conception Seminary in Missouri, James Goettsche often slipped out of bed after midnight and secretly made his way into a nearby church. While everyone else was asleep, young James seated himself at the church’s organ and meticulously taught himself to play intricate compositions by Bach and other masters. Without any musical training, the organ prodigy learned everything by ear. Goettsche doesn’t have to hide his passion for organ playing any more. 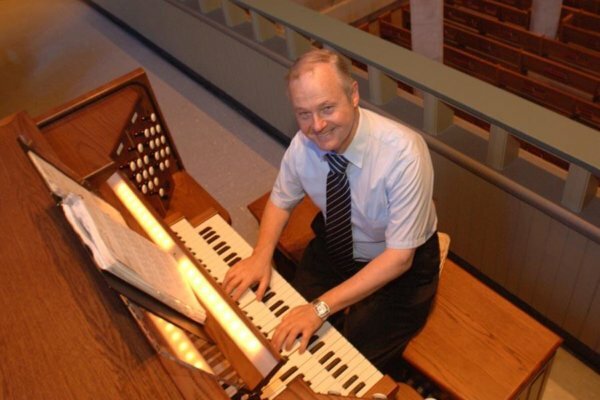 For the last 16 years, he has served as principal organist of the Basilica of St. Peter in the Vatican and organist to the pope – the first American to hold either post. Millions of people around the world heard the 63-year-old musician play as they watched the televised funeral of Pope John Paul II and the installation of Pope Benedict XVI this spring. Goettsche was in Baltimore on Sept. 15 to perform the inaugural concert on the newly installed Rodgers Masterpiece Series organ at the Church of the Immaculate Conception in Towson. The rich sounds that a good organ can produce are what attracted Goettsche to the instrument, he said. “It’s the voice of the temple,” said Goettsche , a Los Angeles native who left the seminary when his professors told him God was calling him to a life as a musician. It was while attending San Francisco State University in California that Goettsche met Fernando Germani, then the organist of the Basilica of St. Peter. After Germani heard Goettsche play, he invited the young organist to study music with him in Rome in the early 1960s. It was a dream come true for Goettsche , combining his passion for music with a lifelong interest in Roman history and culture. Goettsche studied at the Conservatory of Rome before becoming the organist of the Basilica of Santa Francesca Romana. He became very well known in Italy and was featured in numerous concerts. It was incredibly demanding to play for Pope John Paul II’s funeral with three U. S. presidents, other dignitaries and millions of people watching, Goettsche said. Since the Vatican organist doesn’t select the tonalities in which he will accompany celebrants, Goettsche said his biggest challenge is matching the tones of the celebrants at Mass. He must be ready to play in whatever key is intoned. “I used to have nightmares of being arrested for not going in the same tone,” he said with a laugh. After playing so many years for Pope John Paul II, Goettsche said he could anticipate the Holy Father’s notes. But when the late pope was ill, he sang less frequently. Goettsche said the experience of working with Cardinal Ratzinger made it easier to learn the future pope’s tonalities. “Even when I dare to give him a note, he comes on in key,” said Goettsche, noting that Pope Benedict is a good musician. 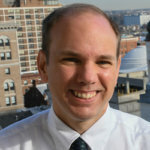 Goettsche said he “fully agrees” with statements that Pope Benedict made as a cardinal arguing for a greater use of Gregorian chant and classical liturgical music at Mass.